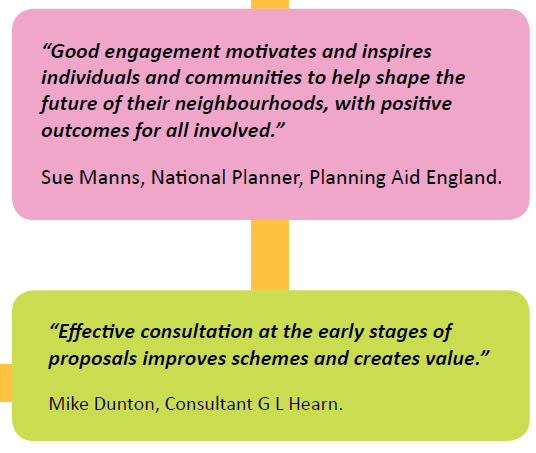 Although first published in 2010 by Planning Aid, England the “Good Practice Guide to Public Engagement in Development Schemes” offers a wide variety of good advice about engaging the public in development schemes. Good engagement reduces conflict, results in better development and most importantly allows communities to have an influence over the future shape of the places where they live. Engagement is a two way process of openly sharing and exchanging information, understanding different views, listening and responding to suggestions, developing trust and dialogue to support effective working relationships to the mutual benefit of all involved. 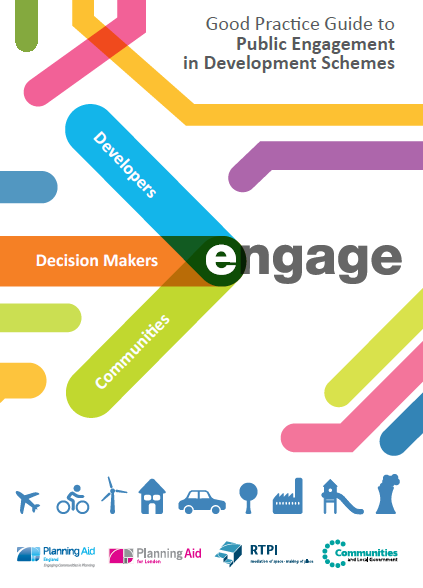 The guide covers the principles of engagement including moving towards effective engagement community engagement.